The American Viticulture Area, AVA system was created to establish a specific location by identifying aspects including geography, soil, climate and other environments factors influencing grapes and the characteristics of wine. Napa was designated California’s first AVA in 1981 and Santa Maria our second, but they are the second and third AVA in the United States. Established in 1980, the first AVA is the Augusta AVA in Augusta, Missouri. 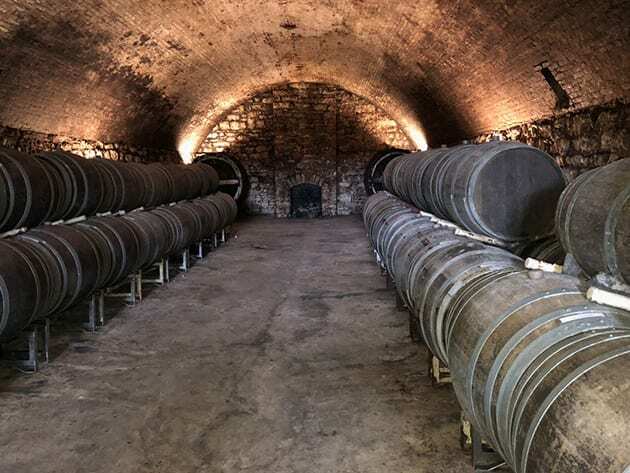 It is made up of five wineries, and during my last trip to Missouri and Illinois, I decided to discover America’s first AVA and more about Missouri wines by visiting three of its wineries. Augusta, Missouri is about an hour drive from St. Louis. Once you depart from the freeway one meanders through rolling hills and across picturesque meadows. I drove this route in the autumn, a beautiful time of the year to enjoy not only wine but the changing colors glimmering through the trees. One of our smaller appellations, Augusta AVA, encompasses 15 square miles. The area includes the city of Augusta, which was established in 1836 as a riverboat landing along the Missouri River. Originally called Mount Pleasant until 1855 when it became Augusta. Like many of Missouri’s wine regions, German immigrates settled along the Missouri River because it reminded them of the Rhine River Valley and well suited for growing grapes. One of the original wineries was Mount Pleasant, dating back to 1859. A flood in 1872 caused the landing to dry up and the Missouri river to changed courses leaving a unique type of soil. Vineyards began to pop up in the 1880s. The region is known for its river bottoms, and alluvial plains causing the soil to be a type of loam called Hayne Silt-Loam, which makes the soil heavy in clay near the river and as elevations increase the silt increases. 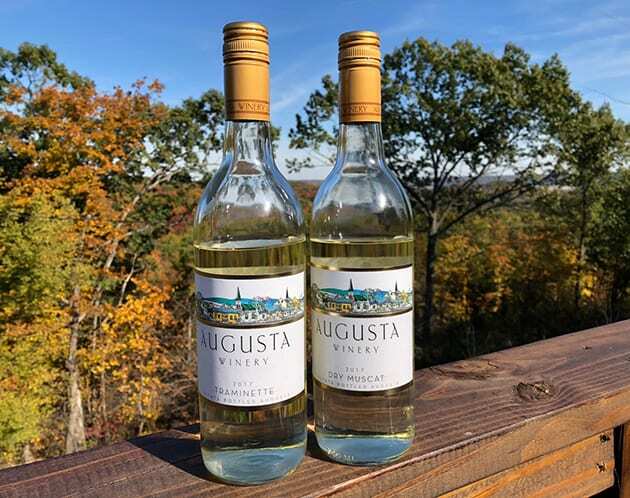 Most of the wineries of Augusta are located in areas with higher silt concentration. 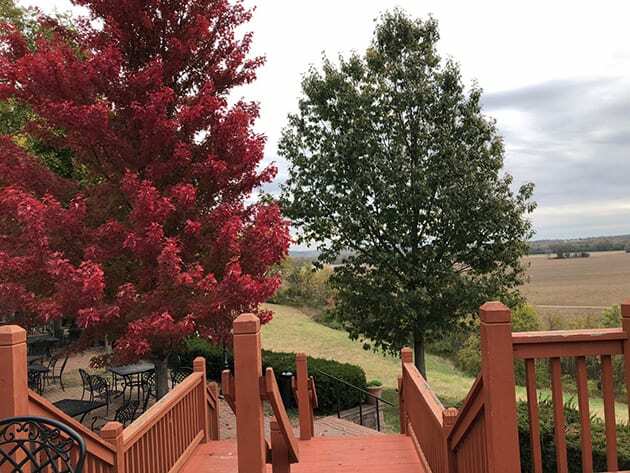 Like Bordeaux that has right and left banks and features very different styles of wine as well as terroir, Missouri has its version, but instead, it is north and south of the Missouri river. Augusta on the north side with it Hayne Silt-Loam versus Hermann on the South side where one finds more rocks and minerals. The Vitis Vinifera grapes of this region are primarily Cabernet Sauvignon and Chardonnay. Hybrid grapes including Chambourcin, Chardonel, Seyval Blanc, St. Vincent, and Videl Blanc. Of course, Missouri’s official grape, Norton is also grown in this region. My visit took me to three wineries Montelle, Noboleis and Mount Pleasant. Montelle Winery’s history dates back to the 1970s sometime after prohibition when the wine industry began to flourish again. Clayton Byers founded Montelle in 1970. In 1998 Montelle’s current owner/winemaker Tony Kooyumijan purchased the property. Winemaking and grape growing has always been in Tony’s blood. He is a third-generation vineyard and grape grower. His grandmother immigrated from Armenia to California, establishing a vineyard in the San Joaquin Valley in 1915. Tony chose to start his career as a pilot with Trans World Airlines and continued to do so until his retirement in 2001. Traveling the world, Tony discovered wine. As Missouri began to reestablishing its wine industry, Tony purchased his first winery, Weprich Winery in St. Charles, which he later renamed Winery of the Little Hills. His first vintage was in 1980. In 1988 Tony moved to Augusta, Missouri and established Augusta Winery. Since 1998 Tony set his wine roots at both Augusta Winery and Montelle. 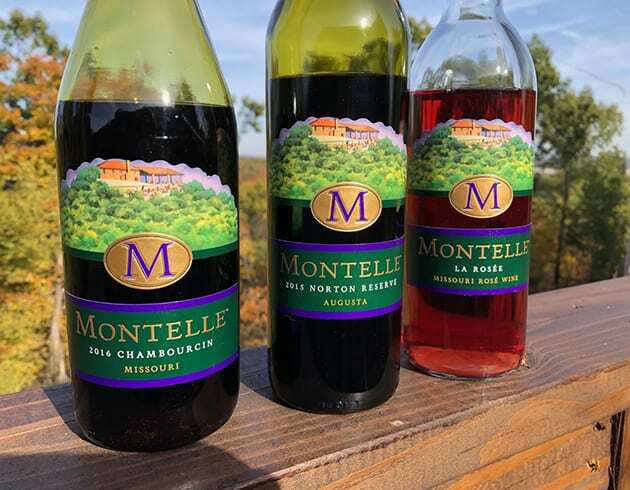 Montelle produces 40,000 cases of wine and 37 different types of wine. I was pleasantly surprised to discover that only 25% of the wines produced are sweet. 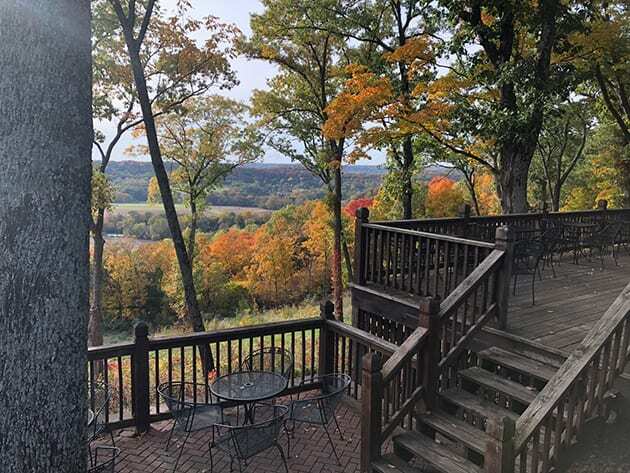 A winery visit must include a lunch at the Klondike Café especially in the spring and fall when you can savor a meal on the outdoor deck and enjoy the picturesque view of the valley. Find a selection of my favorite wines I sampled while at Montelle. Augusta 2017 Dry Muscat and 2017 Traminette were my favorite dry wines. Both had aromas of florals. The Muscat displayed white flowers and the Traminette exhibited flavors of pear. Montelle’s most popular white is the Seyval Blanc. Tony says it is the most complex hybrid because there are about 100 crosses in the grapes makeup. Montelle’s 2017 is very refreshing with flavors of tropical fruits and grapefruit. Other whites that are worth sampling at Montelle are Chardonel, Vidal Blanc the dry version, and the dry version of Vignoles. La Rosié is a Rosé of Chambourcin and St Vincent and quite refreshing. Think red berries, raspberry, and cranberries. In reds, there are the tart cherry and Chassis flavors of the 2016 Chambourcin. The 2015 Norton Reserve is higher and acid but had nicely balanced with flavors of prune dark fruit and hints of spice. One must try Montelle’s dessert wines including the 2013 Cynthiana Port with its dried fruit flavors and the 2017 Vidal Blanc Ice Wine that exhibits sweet yet savory elements that emphasize its apricot flavors. If you are into Brandy, Montelle was the first Missouri winery with a distillery. It comes in four flavors, apple, peach, cherry, and grape. 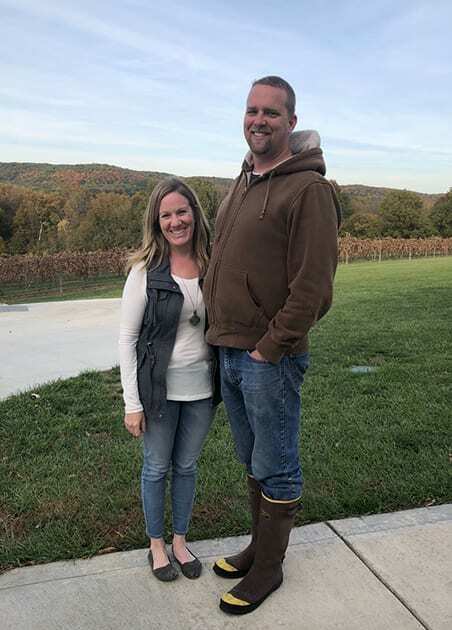 Robert and Lou Ann Nolan in 2004 found a beautiful 74-acre piece of farmland in Augusta that they purchased in 2005 with the intention of growing grapes. Today the rolling hills are planted with Chambourcin, Traminette, Norton, and Vignoles. Noboleis Vineyards produced their first vintage in 2007. In 2010 the winery and tasting room opened. Robert’s career began as a software engineer in St. Louis. Today their daughters help run the everyday aspects of the winery including production and sales. The name Nobeleis combines three family names. The Nolan’s, their daughter Chris Newbold and daughter Angie Geis. With their input, Noboleis now offers weddings set against picturesque backdrop atop the hill overlooking the valley near an old Mulberry tree. This location makes an ideal setting for any nuptials. Currently, Noboleis is experimenting making port in Bourbon barrels, Bourbon maple barrels, and coffee barrels. The 2017 Traminette features subtle notes of tropical fruit on the nose and pear on the palate. Noboleis 2017 Dry Rose of Chambourcin is tart but fresh. 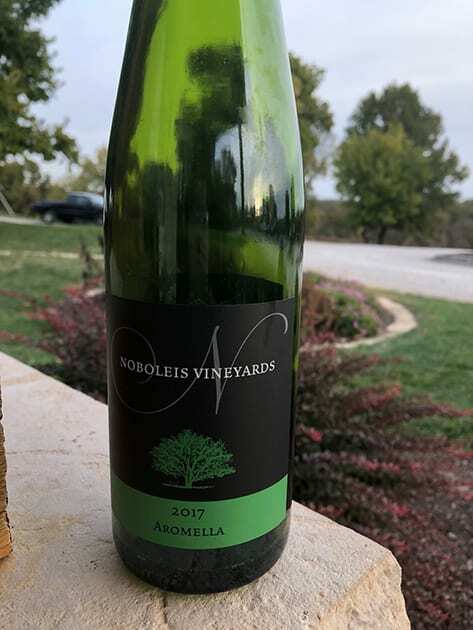 I also liked the 2017 Aromella, a slightly sweet wine with florals, pineapple and other tropical notes. Noboleis V Volume is a port-style wine with flavors of dark fruit, dried fruit, and chocolate. Other wines to sample are the Owner’s Reserve Cuvee, a blend of Norton Crimson and Chambourcin. Crimson Cabernet is a cross between Norton and Cabernet Sauvignon. 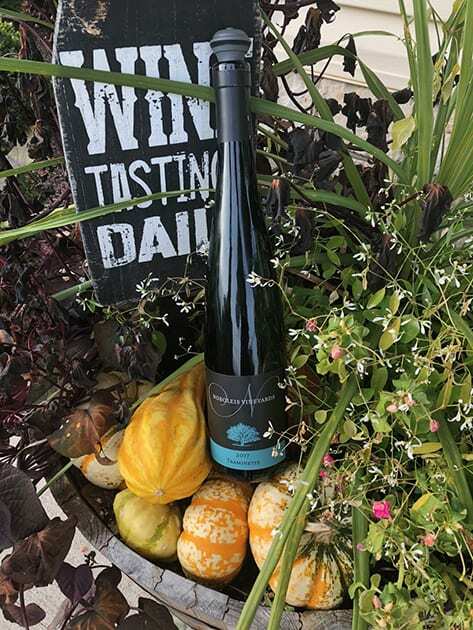 Try not to miss the 2017 Dry Vignoles with its flavors of pear and the barrel fermented 2016 Vidal Blanc. Mount Pleasant Estates is the oldest winery in Augusta, Missouri. Established in 1859 when the Muench brothers a commercial wine business. In 1881 they built the cellars that are still in use today. Prohibition stopped everything as the government destroyed all winemaking equipment and vineyards. In 1966 Lucian and Eva Dressel purchased the property. They replanted and opened the winery. Keeping the winery in the family, cousin, Chuck Dressel bought the winery from Lucian in 1992 and continues its legacy. Today Mount Pleasant grows 12 varieties on 78 acres. Mixing the original buildings with new, the winery is like a campus that offers classes, dinners, and other events. The winery’s outdoor area provides a spectacular view of the Missouri River Valley. During his tenure as owner, Chuck discovered what he calls the Muench grape, an American cultivar. Perhaps not every vine was destroyed during Prohibition. This grape may be integrated into his port-styled wines. 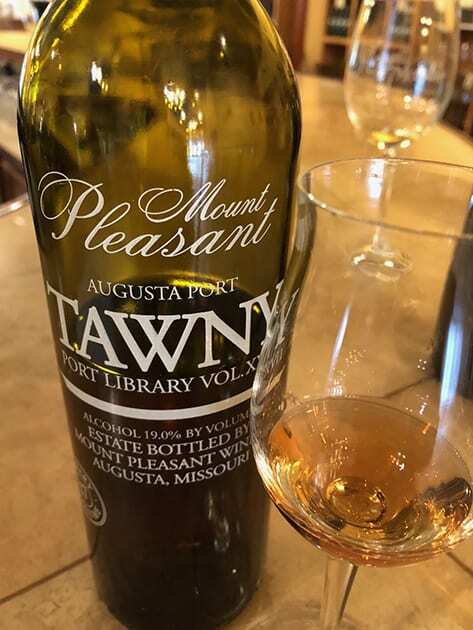 One of the highlights of visiting Mount Pleasant was tasting their Tawny Port. Mount Pleasant has been making this port since 1995. Find a luxurious quality with aromas of orange, peach, and almonds. On the palate one senses the bourbon barrel aging with hints of vanilla, butterscotch, and caramel. I also recommend the Mount Pleasant’s Norton, unoaked Chambourcin, Port, and My Dessert Wine. 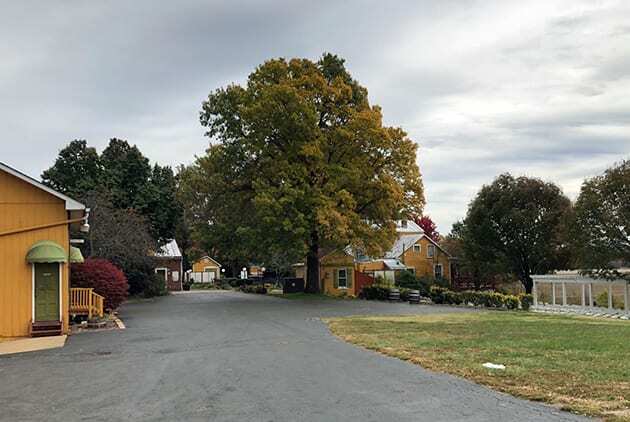 A visit to the Augusta AVA should include strolling through the town of Augusta, Missouri with its array of antique shops, gift shops, glass studio, art galleries, restaurants, Breweries, Augusta Historic Museum, and Danial Boone Home. Venture out on the Katy Trail, where one can hike or cycle the rail track that runs along the north bank of the Missouri River on the right of way of the former Missouri – Kansas – Railroad. Staying at one of Augusta’s many charming Bed & Breakfast establishments will immerse you in the history of the Missouri Rhineland. Note: Common to the wine and travel industry, this writer was hosted to the winery visits. While it has not influenced this review, the writer believes in full disclosure.